Posted on May 16, 2011 by Joanna Paraszczuk. 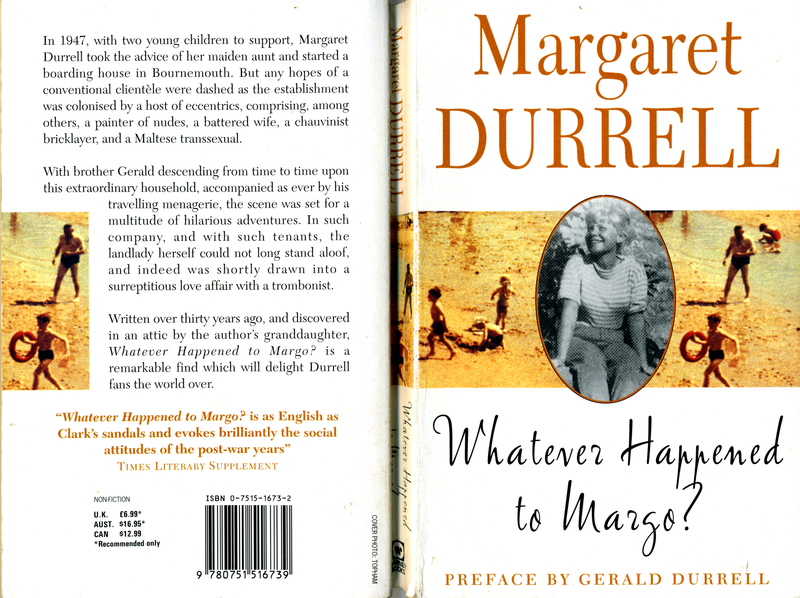 This entry was posted in Corfu, gerald durrell, lawrence durrell, Memoirs, My Family and Other Animals and tagged Arts, Bournemouth, Corfu, Durrell Family, Gerald Durrell, Lawrence Durrell, Leslie Durrell, Literature, Louisa Durrell, Margaret Durrell, Margo Durrell, My Family and Other Animals, whatever happened to margo. Bookmark the permalink. I have often wondered what happened to the rest of the family, apart from Lawrence. Thank you so much for this delightful blog, I have enjoyed myself immensely and keep having to phone my mother and read bits to her. As a result I am an hour over my deadline. Now I will waste some more time trying to find a copy of Margo’s book. her life actually was interesting i thought. She stayed in Corfu when the war started, which was brave of her, then went to South Africa with her first husband. 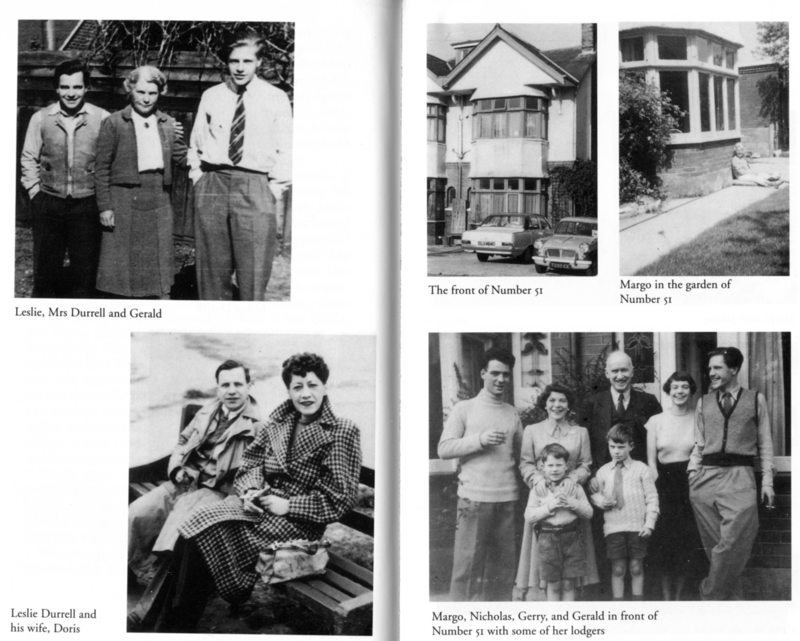 Then she ran a boarding house in bournemouth for a while, the subject of her book. Then later she worked on a cruise ship. She seems to have done quite a lot of interesting things. Thank You for the details! Once I had read “My Family And Other Animals”, I was curious to find out what happened next, and your blogs helped a lot. Quite tragic, what happened to the family, even though Gerald portrays them as a happy, enlightening crowd. I didn’t like your review making comparisons between the siblings, why? Downing Margo because she didn’t adhere to Gerry’s literary prowess. Also quibbling because Margo’s manuscript wasn’t found until several years later, so what?